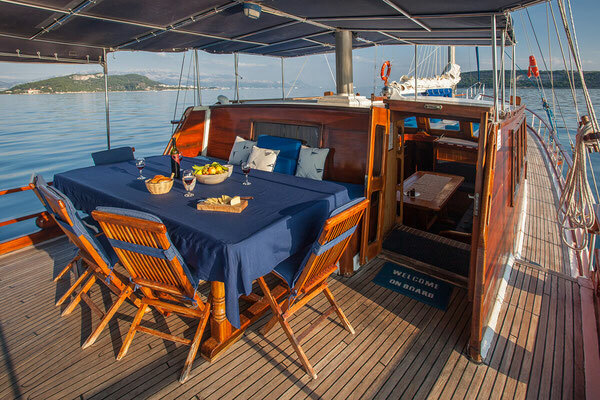 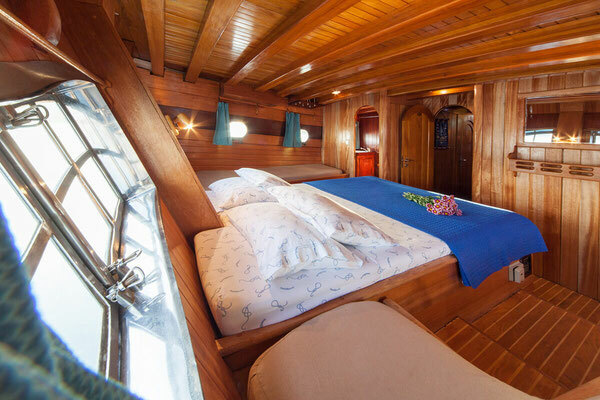 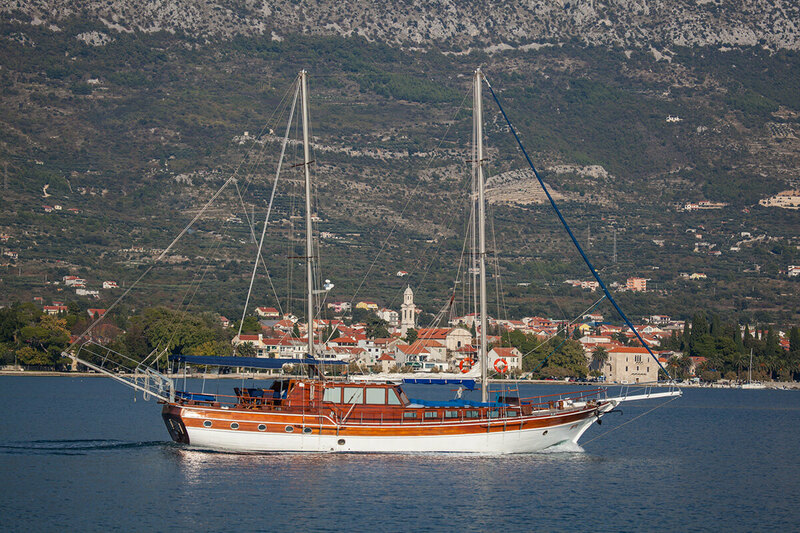 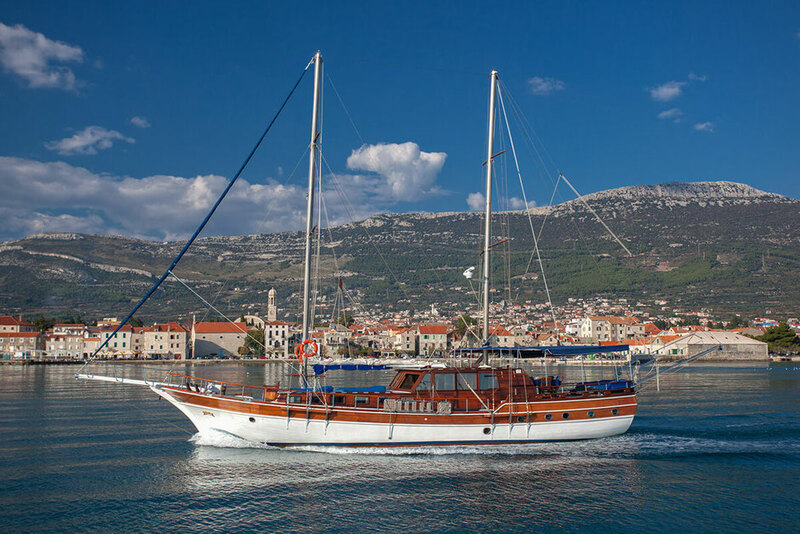 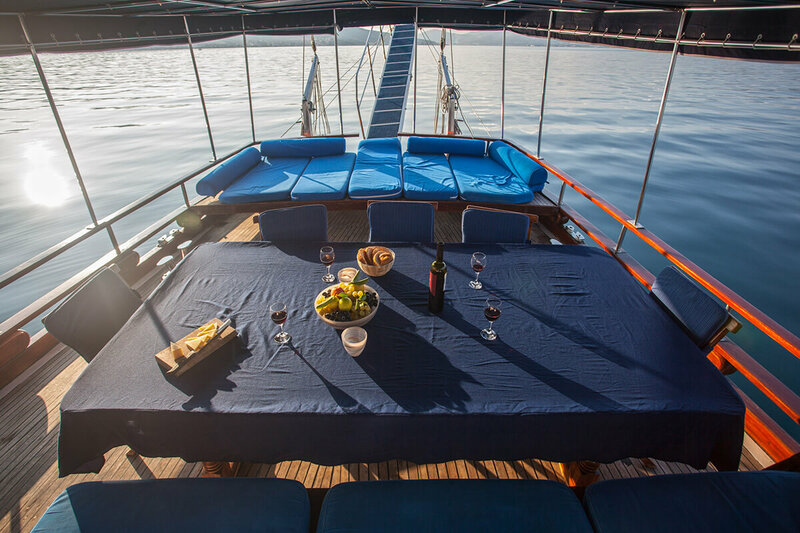 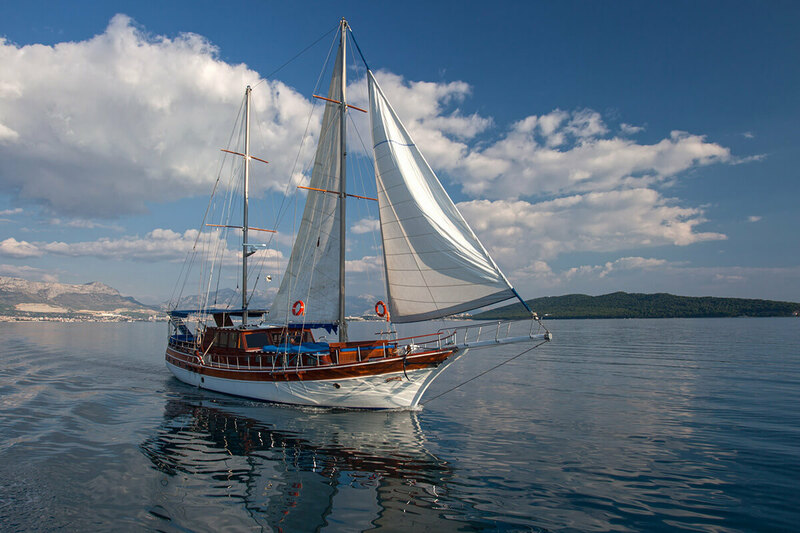 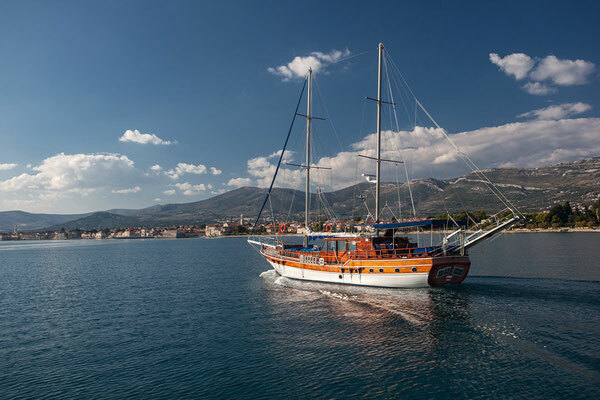 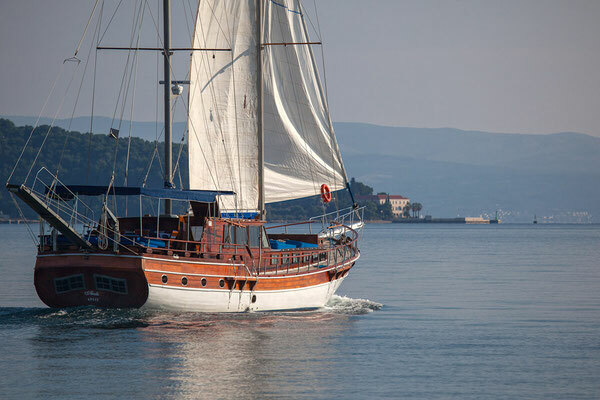 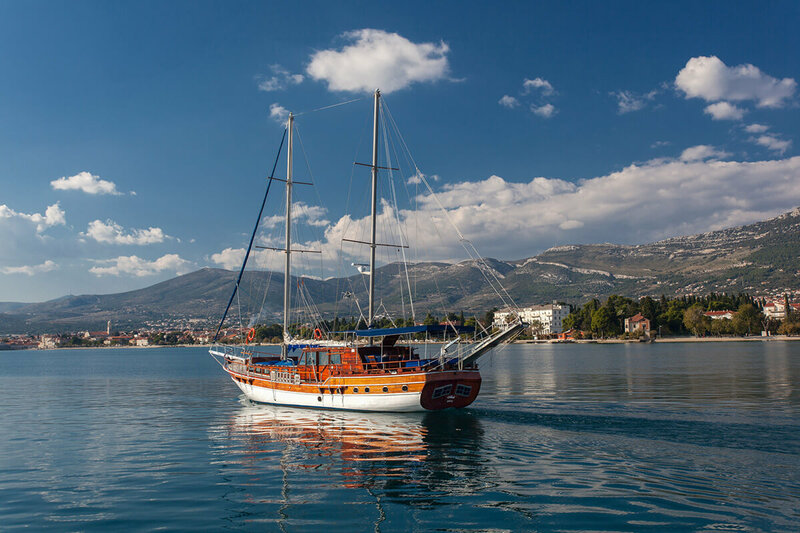 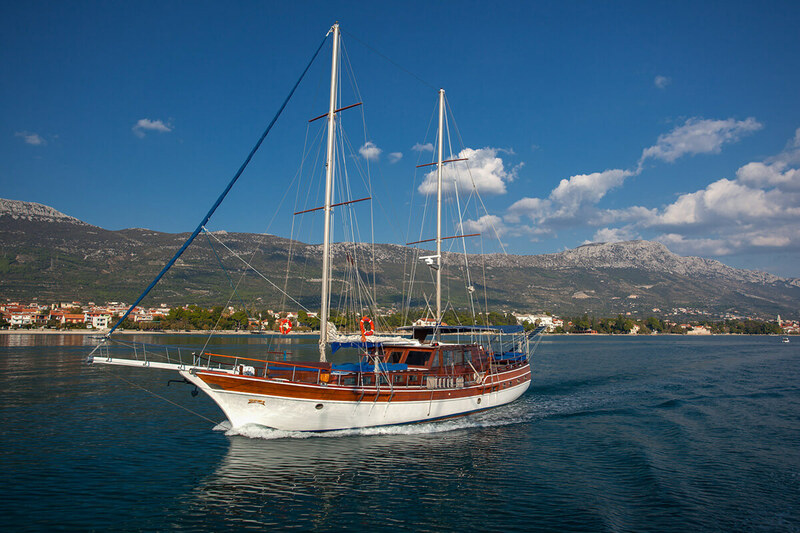 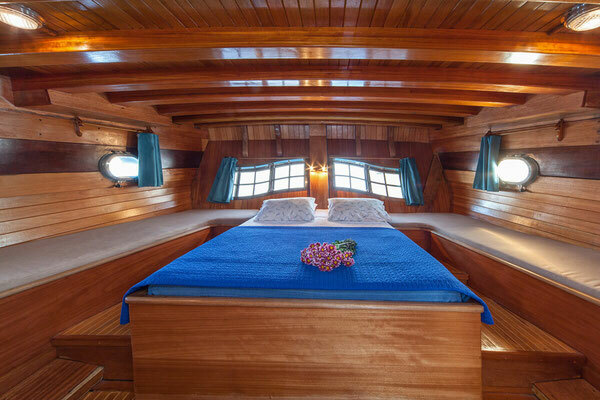 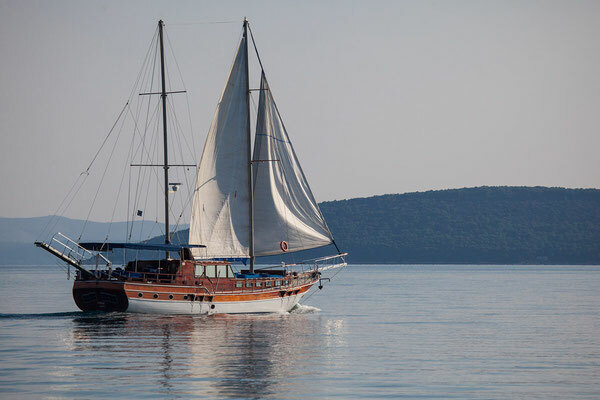 The first thing you will notice about the last year renovated gulet is everywhere present blue color: on the front deck with 12 mattresses for sunbathing and the rear deck covered by tent with a large dining table and comfortable sofa that beautiful color dominates this wooden beauty. 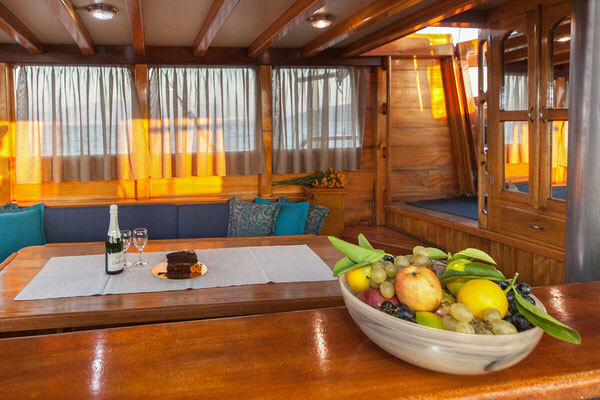 In the air-conditioned saloon with fully equipped kitchen, you can eat Dalmatian specialties and there is a bar for your complete relaxation. 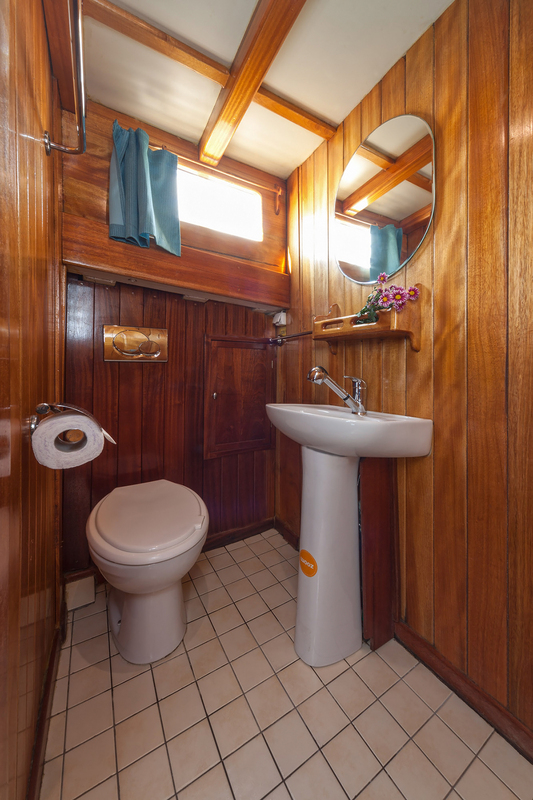 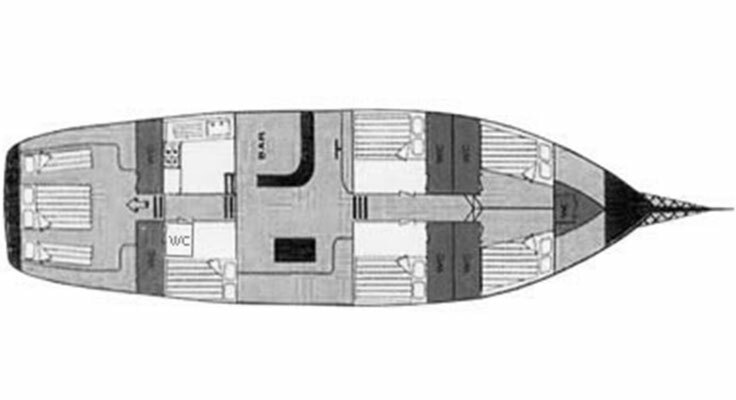 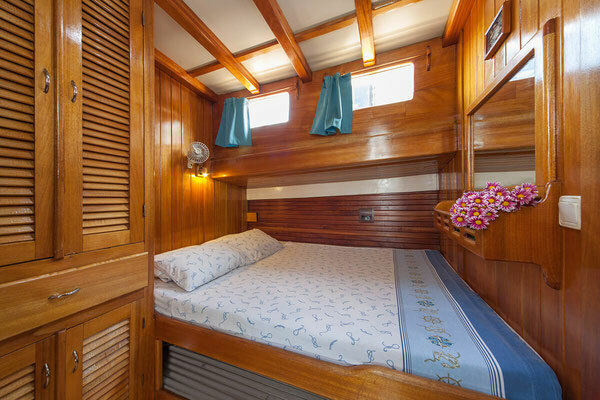 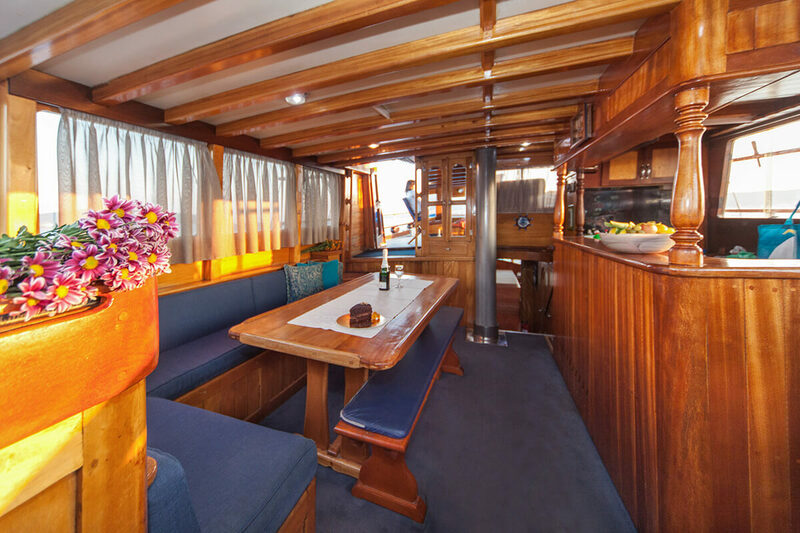 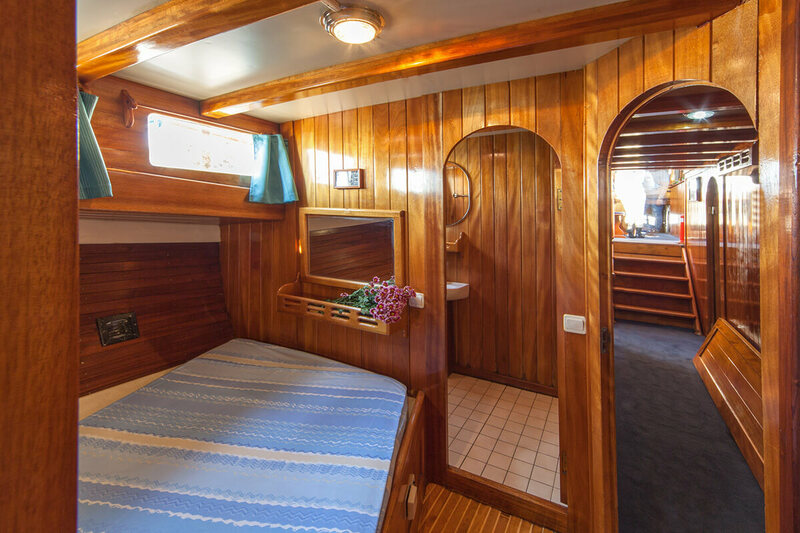 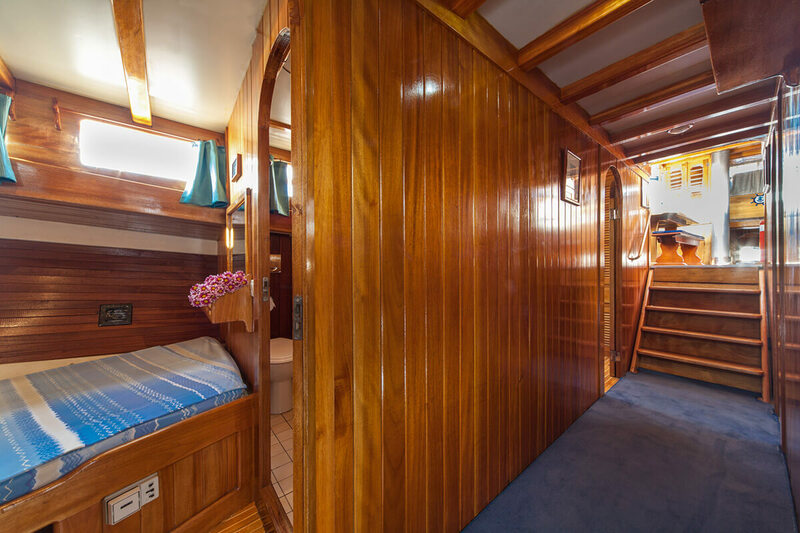 Six cabins (5 + master cabin) that can accommodate up to 12 people are air-conditioned with en suite bathroom. 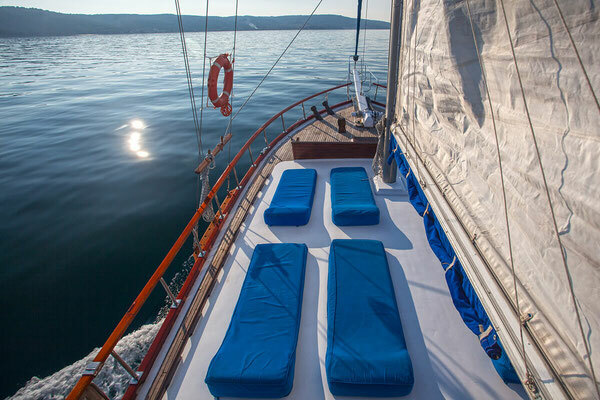 Gulet Andi offers you kayak with paddles so you can try the sea activities yourself. If you get bored with this heavenly enjoyment in all of the benefits of the summer, you can use the Wi-Fi network. Enjoy!